We have about 5 inches of snow on the ground. Actually, that was this morning. It is melting very quickly. I have been craving spring this year like never before. I’m not sure if that is because we spent a good portion of February down and out sick, or from living in a partially finished house is difficult when we can’t escape outside, or from having a little boy who constantly begs to go outside when it is freezing. I think it’s a combination of all three. But even though I’m ready for spring, I have to admit that the snow was beautiful yesterday. It came down in big fat, fluffy flakes and stuck to everything and it was so fun to cuddle up and enjoy a family day at home. Tyler stayed home from work since it snowed so much. I think they were calling for more, but we only got half of what they predicted. Anyway, I’m ready to cross “March Snow” off the list this year and move forward with spring. 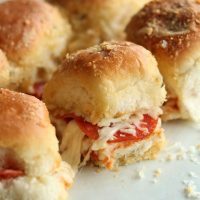 I made these easy Pizza Sliders a few weeks ago for church and they disappeared fast. I only took home four with me. How’s that for great planning. My sisters told me I needed to post the recipe on the blog, so the next day I used a few leftover ingredients I had and made a half a batch to take some pictures of. They also made a delicious lunch for me and Cameron. 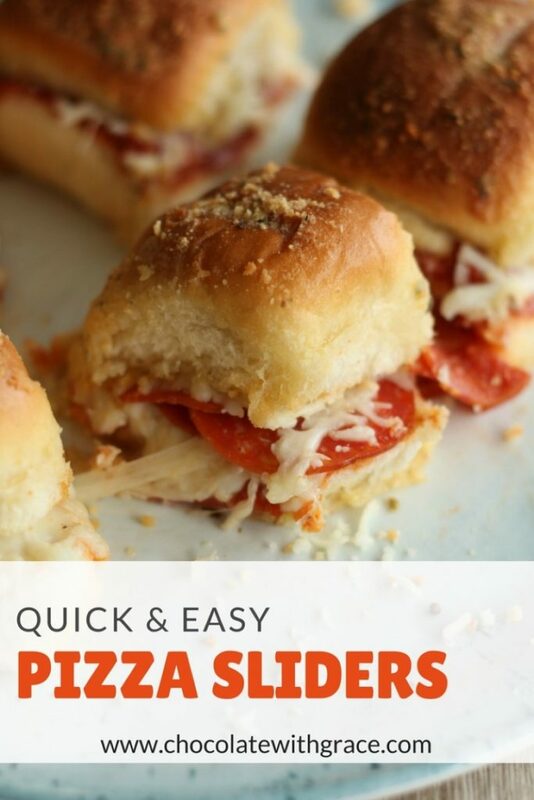 They taste exactly like pizza and use only a handful of ingredients. 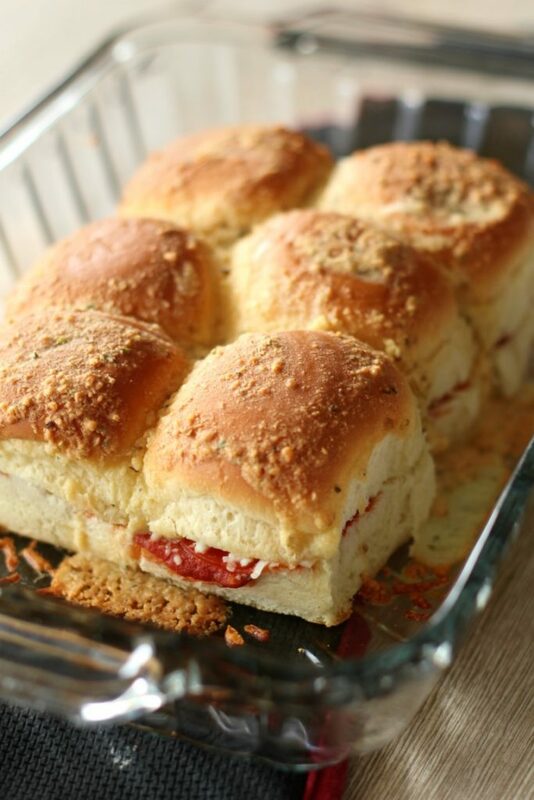 They are simple to make like the classic hot ham and cheese sandwiches with the poppy seed glaze on top. Except these will be everyone’s favorite! Preheat the oven to 375 F. Leaving the buns attached together, slice them open with a long knife. You should have two rectangle sheets, the top and bottom half. Place the bottom half on a baking pan with edges. Spread on the marinara sauce on the bottom layer of buns, layer on the pepperoni, shredded cheese and any other topping you prefer. Replace the top layer of buns. Melt the butter and stir in the Parmesan, garlic powder and oregano. pour over the top of the buns. Bake at 375 F for 12 minutes or until the cheese is melted. If the tops brown before they are ready cover lightly with aluminum foil and continue to bake. Remove from the oven. Slice them apart and serve warm. 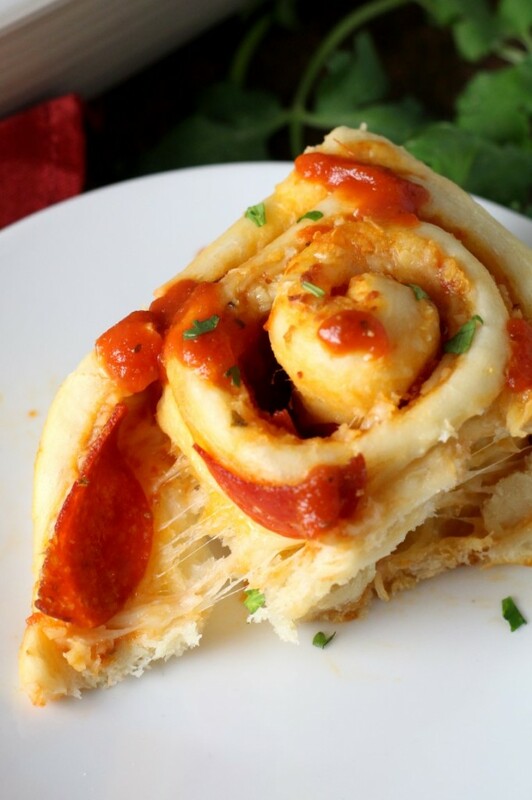 Would you like a your pizza in a roll instead? 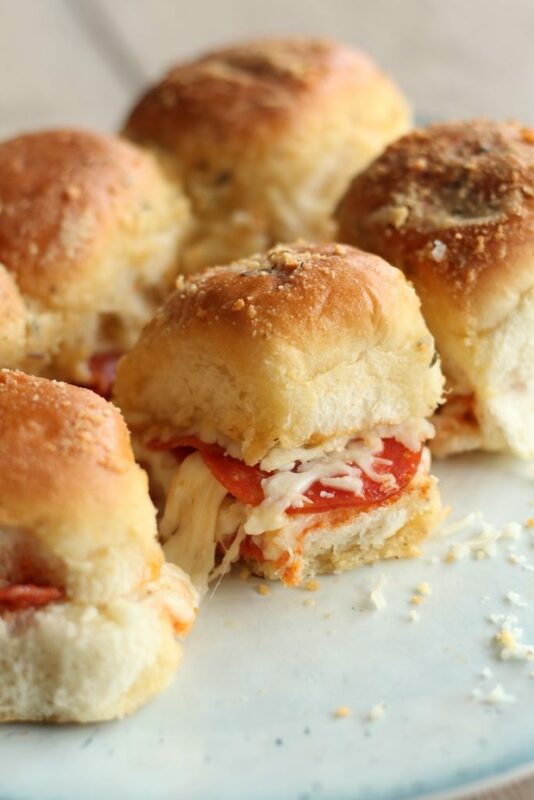 Try these cute Pepperoni Pizza Rolls! 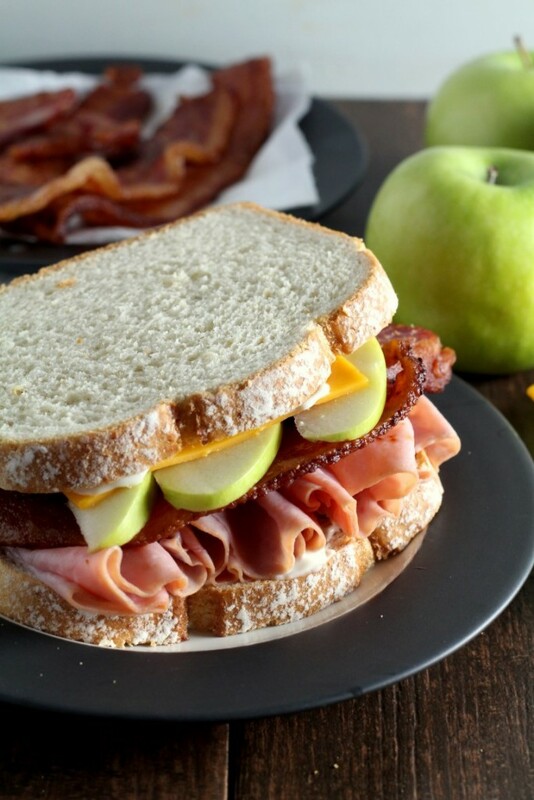 How about a Harvest Ham, Bacon, Apple and Cheddar Sandwich?